Golf Course Villa offering stunning views, privacy, and private guest retreat. 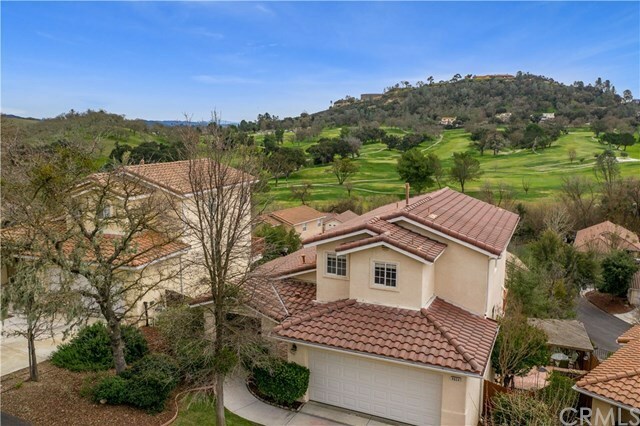 This 2004 built home is located in the gated community of Chalk Mountain Village, offering stunning golf course views. Floor plan features ~2081 sq ft with 3 bedrooms & 2.5 baths. You will find numerous updates including wood floors, a beautifully remodeled kitchen with granite counters, newer appliances, and custom roman shades throughout. The kitchen opens to the spacious dining area and living room enhanced by vaulted ceilings. Glass sliders from the living area access a scenic view deck. The private secluded master suite offers panoramic views and features a large walk in closet, soaking tub with separate shower. The lower level offers guest unit potential with two guest bedrooms, full bath, family room and partial kitchenette. This level lends itself ideally for extended family living and has a separate private entrance. Glass sliders from the family room access a spacious patio with covered seating area, wrought iron fencing, and professional landscape providing natural privacy. This immaculate home also features a two car garage and indoor laundry room. As a resident of Chalk Mountain Village; you will enjoy use of the sparkling pool and direct access to the golf course! View Visual Tour with more photos and information. Just minutes from the Paso Robles Wine Country, SLO and the Scenic Coast! Welcome Home! Directions: El Camino Real to La Lania, Right on El Corte, Right on Paseo De Vaca. Gated Neighborhood.